Who: Mathematically talented high-school students. More details. What: Five weeks of intense interactive inquiry-based individualized instruction. More details. When: June 30 - August 3, 2019. Where: Bowdoin College. More details. Why: Because math is cool! The application process: Has three parts (short form, Exam Assessing Readiness , not-as-short form). More details. Fee: $4600, which is $920/week. Financial Aid: With the generous support of the AMS Epsilon Fund and individual donors, we are able to award financial aid for MathILy-Er 2019. All financial aid is based entirely on need, and yes, the entire fee may be waived for an admitted applicant with significant need. In the past we have been able to meet the demonstrated financial need of almost all admitted students, and we expect this will be the case again in 2019. Priority is given to U.S. students over international students, and we do not currently award financial aid to interplanetary or interstellar students. In addition, Mu Alpha Theta has grants for students who have been members for at least a semester. Past MathILy-Er students have benefitted from this excellent program! Number of students: about 30. Academic details: Class meets for about 7 hours per day, in two shifts (morning and evening), 6 days per week. Each class has a Lead Instructor who is a mathematician with a Ph.D. and one or two Apprentice Instructors who are graduate or undergraduate mathematics students. The weeks break down into a 2-1-2 schedule: We start with two weeks of Root Class, which consists of a gallimaufry and melange of mathematics that gives all students a base on which to grow. This is followed by Week of Chaos, in which there are many many short classes with topics suggested by students and instructors alike. The denouement of the program offers a more advanced Branch Class in the final two weeks. Mathematical content: It's undergraduate- and graduate-level mathematics not usually encountered in high school. (You may correctly conclude that calculus is not one of the topics on offer---we don't want to spoil anyone's fun!) The core of the curriculum is discrete mathematics, with additional material determined partly by the interests and direction of the class. 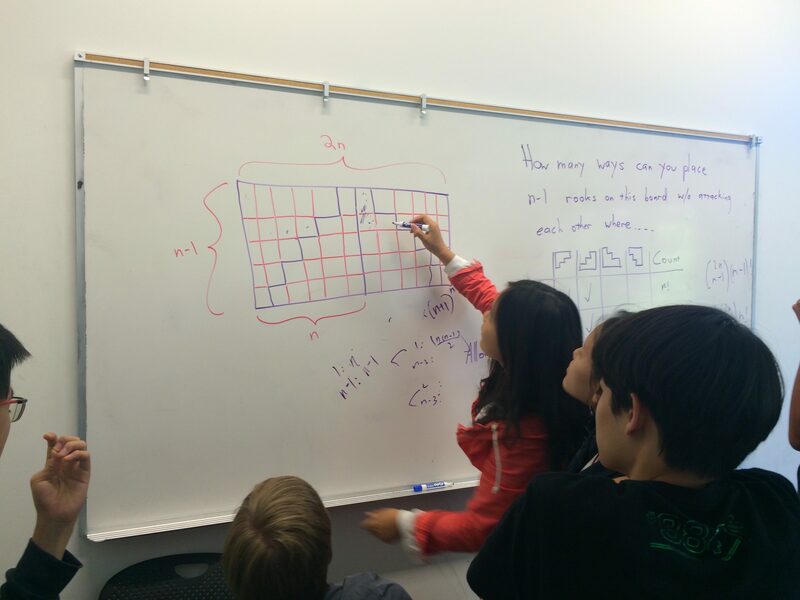 Topics for Root Class will certainly include combinatorics, graph theory, ring and matrix algebra, and combinatorial game theory, and are likely to include proof techniques and number theory. Some of that may sound familiar, but at MathILy-Er we look at aspects of the material that will be new to you. Each topic will be treated in depth, or at an advanced level (or both! ), and there is no overlap with the MathILy Root curriculum. If there's a topic you want to learn about and your class doesn't discuss it, ask that it be offered during Week of Chaos! Topics could include hyperplane arrangments, cryptography, quadratic forms, generating functions, finite automata, ordinal numbers and more. For 2019, the Branch Class topics are likely to include Combinatorial Game Theory and non-Euclidean geometry. Differences from MathILy: MathILy-Er is designed for students who are slightly earlier in their chronology or mathematical development, but who still want the intensity of a five-week residential summer program. MathILy-Er is highly selective, and the curriculum often includes current research-level mathematics. 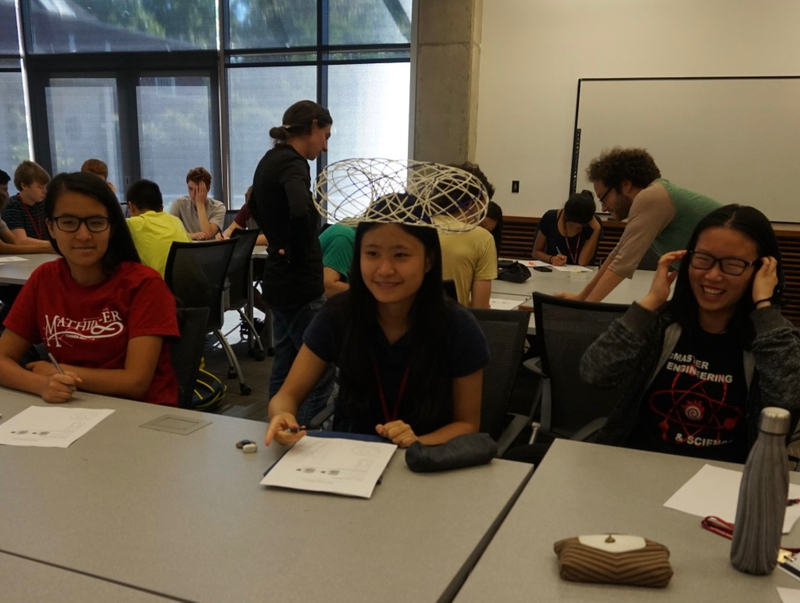 The topics studied at the two programs are entirely different from one another, so MathILy-Er alumns are encouraged to apply to MathILy in future summers. Class format: Each class is taught in an entirely interactive way, with students discovering mathematics and leading the way in sharing conjectures and providing proofs. Classes include independent and collaborative problem solving as well as lots of laughter; in this way, students learn creative and rigorous mathematical thinking and writing. Daily schedule: Breakfast, then class, then lunch, then mostly-free afternoon, then Daily Gather, then dinner, then class, then... maybe you'll be tired and want to go to bed. The afternoon is only mostly free because (a) in some afternoons, you'll work on writing summaries of what's happened in class, and (b) you and your newly-made friends will play frisbee and music and games and do new and interesting things never yet conceived. By the way, the instructors live in the dorm with students so they're around for every activity in the list that starts this paragraph. students who find mathematics class boring but suspect there may secretly be more to the mathematical world than they currently perceive. MathILy-Er is for high-school students. If you're not in high school, we will still consider your application, but high-school students generally take precedence in admissions. See the application process page for more details. Skills Enhanced: You'll learn how to be a mathematician---that includes acquiring good thinking habits, good problem-solving habits, and good writing habits. That will help you excel in collegiate mathematics classes and other collegiate classes, and for that matter in internships and research programs in many fields. You'll practice asking questions and using mathematical language and making anagrams. The campus is pretty (really pretty). Campus is close to a hospital and there's an urgent care clinic half a mile from campus. Practical stuff: We'll tell you how to get to campus, what you will want to bring (there is a list), details of internet access, how dietary restrictions are accommodated, what the precise daily schedule is, and more, after you've applied and if you are admitted. If after reading this whole page you still have questions, please do contact us at info[at]mathily.org. MathILy, MathILy-Er, and MathILy-EST are projects of the nonprofit organization Mathematical Staircase, Inc..